I love finding new places to eat. The less known, the better! With that in mind, I decided to start a new series on my blog called, Foodie Files, where I write about the new restaurants I stumble upon. Really unique, I know. First up, Marion Crepes. This little place is found in the Santa Anita Mall, right next to my parents’ favorite Mediterranean food stand, Massis Kabob. We came across this place after watching Guardians of the Galaxy (really awesome movie by the way!) and my parents decided to buy some food before heading home. My brother noticed it, and my dad treated us to some. 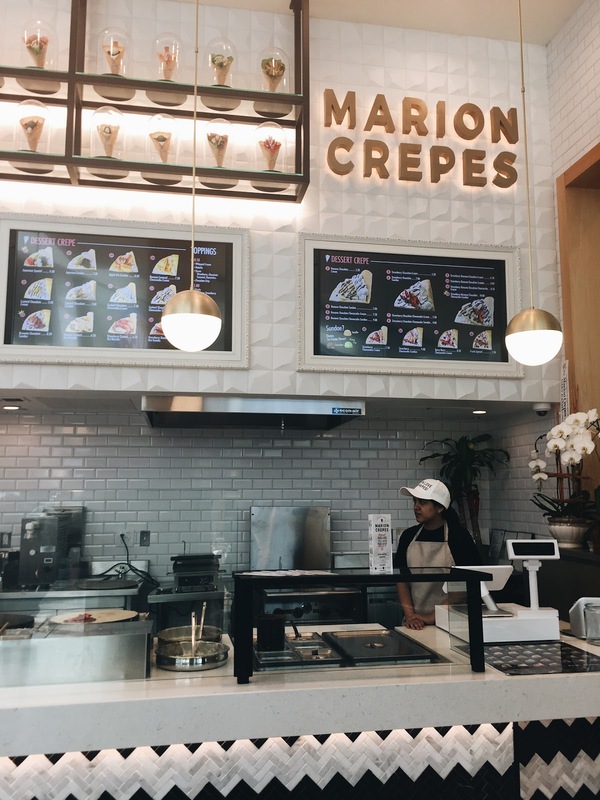 Marion Crepes refers to their establishment as the original harajuku style crepe from Japan. 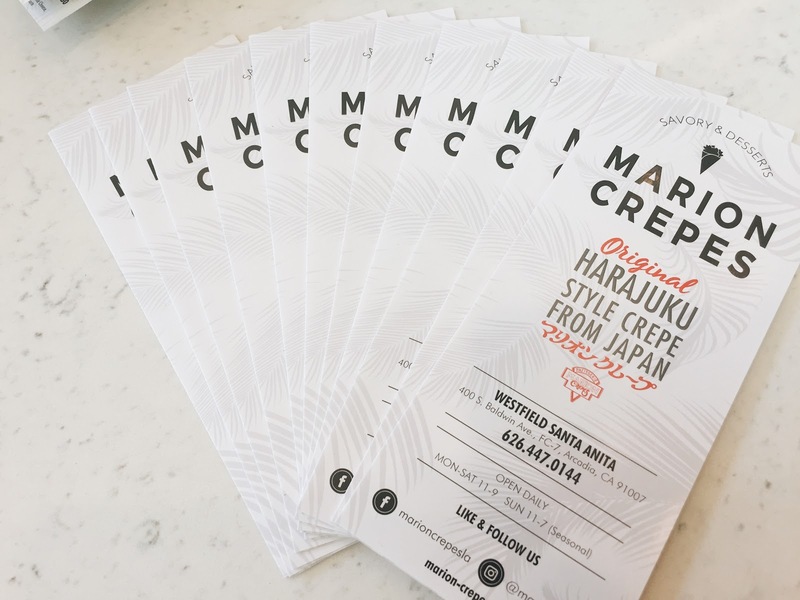 Not sure what harajuku means, but their menu boasts customized sweet and savory crepes rolled for on-the-go. I opted for the Japanese Sundae from the dessert section. It came with azukibean, kuromitsu sauce, green tea ice cream and kinako powder. To be honest, apart from the green tea ice cream, I’m not quite sure what the rest of the ingredients were but I really liked it. The price tag on this was $7.50 + tax (at this location). Rate 10/10 will definitely come back again. TAKE ME HEREEEEEEE it looks so good!!!! Foodie Files is a creative name! I'm so digging it ;). I haven't been to Santa Anita mall for a few years but I've heard of a lot of cool shops spawning there. (Hello Kitty Cafe??). The dessert you got looks delicious! $7.50 is pretty good for what you got. I feel like Cold Stone is a rip off these days *o*. Thanks for sharing this little gem :). One of these days, we're going to run into each other. Or walk right by one another without knowing it! I'm really digging what I term the "Asian nook" that's popped up in Santa Anita Mall! I didn't even know Japanese crepes were a thing. Looks delicious! These crepes look so delicious! I'm so hungry now! Wow, that looks so good! You would love this place in NYC – if you feel like it, look up Taiyaki NYC!! Yummy!! Everything must be delicious!! Mmmmmm yum! Looks delicious, and looks like a cute place too! Yummm!! 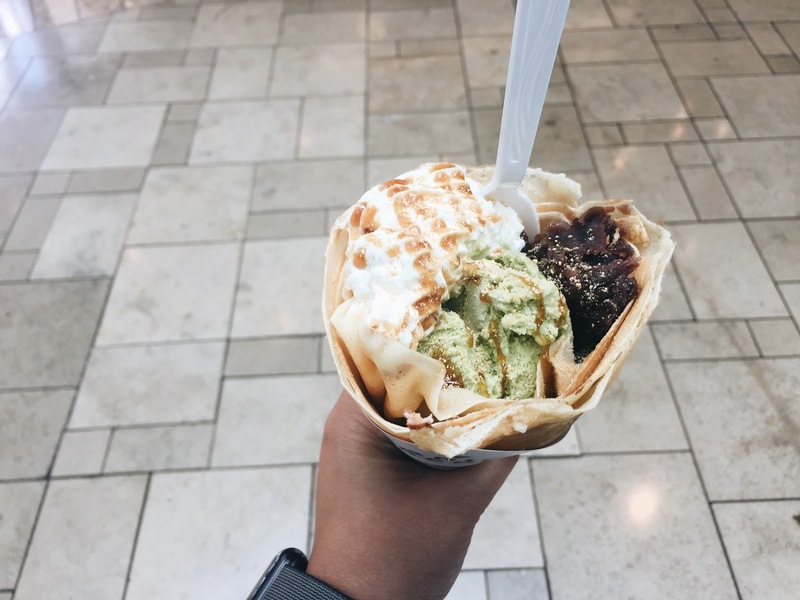 I've never seen crepes rolled like an ice cream cone but it looks fun to eat! i'm not a food expert or anything but as far as i know, japanese styled crepe differs from western ones though i don't remember their differences. 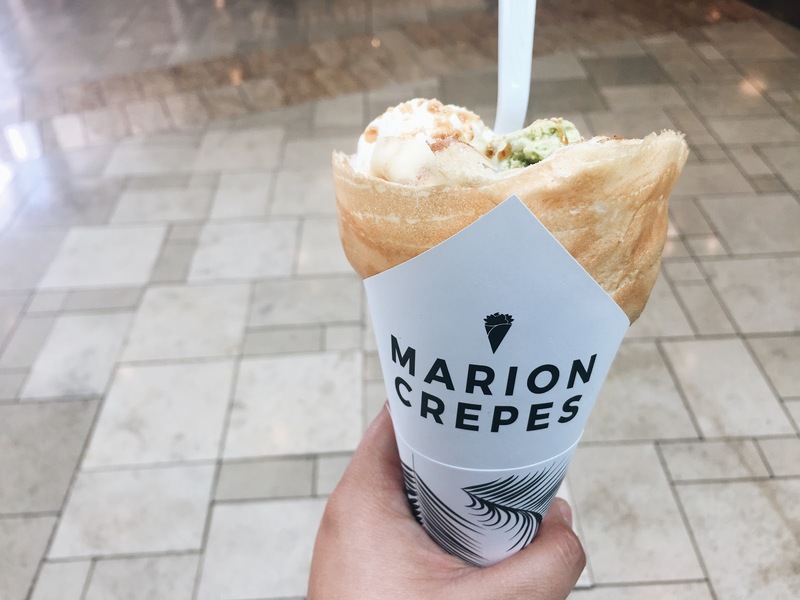 also, marion crepe is a brand from japan and is considered one of the oldest in japan. it's also found in the streets of harajuku. Funny how you brought up harajuku because I was just talking about it with my boyfriend yesterday! Isn't harajuku the famous street style of Japan? I remember reading this article once about how Uniqlo ruined it lol. Anyway, I love crepes. Not only because it originated from France, but I love that it's a pancake filled with whatever you want in whatever form. It could be served on a plate or as a cone. Such a versatile dessert! I'm pretty sure every entry from Foodie Files will make me hungry. Oh my! That crepe is so stuffed! The ones I stated were so thin. Hope I can find something like that here.